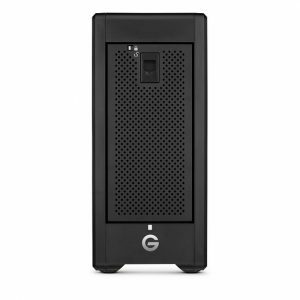 If you are the owner of one of G-Technology high performance storage devices for desktop such as the G-SPEED Shuttle XL with ev series and you are having trouble accessing your data, contact Creative IT. We specialise in desktop data recovery for hard drives which have suffered from a physical or logical failure. The G-SPEED Shuttle XL hard drives for desktop are enterprise-class hard drives which can be configured in RAID 0, 1, 5, 6, 10. Our team of technicians have the knowledge and experience to offer a fast, secure and successful retrieval of files from your hard drive. The common failures on G-SPEED Shuttle XL desktop hard drives are related to faulty internal components that lead to electronic failures or bad connections on soldered parts. Loss of data can also be caused by a corruption of the data stored due to bad sectors or viruses. Finally, firmware upgrades that fail can stop the drive from working. In all these situations, a professional hard drive recovery service will help you restore your data without any loss. Creative IT is the leading data recovery company based in London. Our data recovery services are carried out in-house in our fully equipped recovery centre. We deal with all type of failures including physical damages to drives or logical failures. Having trouble with your drive? Don’t wait. Call us now on 020 7394 2529 for a quote or more information about the solutions we offer for a G-SPEED Shuttle XL with ev series bay adapters data recovery.